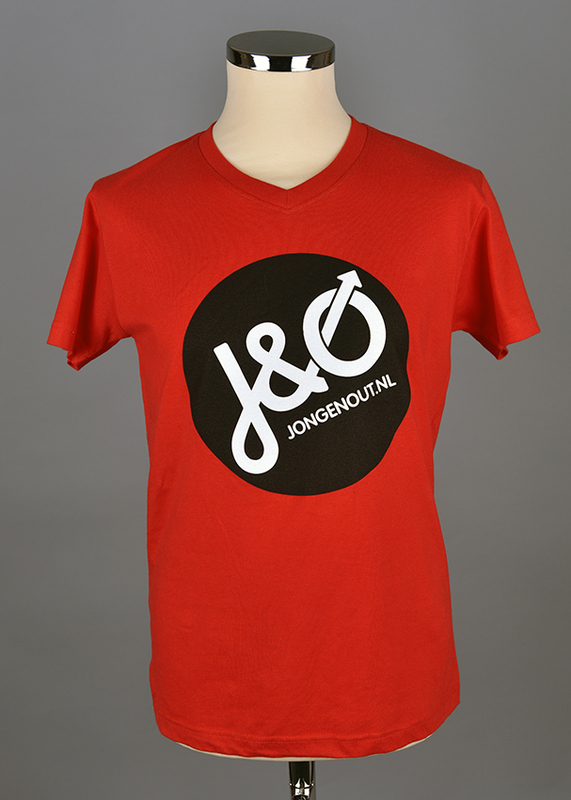 Red t-shirt with logo Young and Out. Voorzijde: jongenout.nl, achterzijde: proud to be jong & out. Youth organization. No tags recorded for this item. Reproduction and use of this material may require permission from the copyright holder. Please contact IHLIA LGBT Heritage for more information. “Young and Out.,” Wearing Gay History, accessed April 20, 2019, http://www.wearinggayhistory.com/items/show/4674.